Intel Haswell Review: Can a Laptop CPU Keep Enthusiasts Happy? Faster hardware shouldn’t be this somber. Yet we can’t help but furrow our brow in concern over Intel’s fourth-generation Core i7 CPU, Haswell. Yes, in typical Intel fashion, it’s a tour de force of technical achievement and features that’s the envy of the free world. It’s also, by the way, quite fast. How fast? *Spoiler alert* Let’s just say that the new Core i7-4770K easily unseats the previous midrange sweetheart, the Core i7-3770K, as the best all-around performer, and even gives the high-end hexa-core part a hard time. So, why are we so sad? Maybe it’s the continual whispers of the PC’s impending doom—that despite the pure joy a powerful PC can bring the world, its days are numbered. Or maybe it’s because it’s clear that, while Haswell is fast, it’s a part that is obviously designed primarily to benefit laptops, tablets, and other small-computing needs rather than desktops. Let’s just say, as happy as we are about where Haswell lands in performance, we’re still concerned about Intel’s commitment to performance desktop computing, and that doesn’t make us feel good. One new Haswell includes the south bridge inside the package. A new platform is just one of the features that might irk enthusiasts. The most noticeable change for any enthusiast is the introduction of a new socket. LGA1155 has carried us from Sandy Bridge through Ivy Bridge, but as Intel doesn’t like you to ever get too comfortable with a motherboard, it’s shedding that old LGA1155 for a new LGA1150 socket. The two are, of course, incompatible. Why? It’s not just to piss you off, but more likely due to the fact that Intel can’t integrate the new Haswell features in LGA1155. The new socket should come as no surprise to anyone who reads Maximum PC, as we’ve been reporting on Intel’s plan for Haswell for a while, but here it is officially: If you want the new CPU, you need a new motherboard. AMD /AM3+ fanboys can feel free to unleash a big Nelson Muntz–style “ha-ha!” in the faces of Intel fanboys. Got a Spare FIVR, Buddy? We’ve long said that Intel’s CPUs are gravitational black holes sucking everything into them. Nehalem ate the memory controller. Lynnfield swallowed PCIe. Sandy Bridge gobbled up graphics. And Haswell has a new fully integrated voltage regulator, or FIVR, inside the package. By integrating the voltage regulator, Intel simplifies power inputs into the CPU but also takes a lot of the control out of the motherboard makers’ hands. The FIVR doesn’t eliminate all voltage regulation on the motherboard, as the power to the CPU must still come from somewhere, so you’ll still find boards with beefy caps and voltage regulation circuits. By integrating the VR, though, Intel is able to regulate power to a much finer degree than has been possible on even the best motherboards. Voltage ripple is practically nil on the design, and the performance of the FIVR outstrips anything that can be done externally. The FIVR also technically lowers the cost of a motherboard, as some of the external voltage regulators are no longer needed. The FIVR isn’t a free ride, though. It adds more heat to the CPU and raises the TDP of the 4770K to 84 watts compared to the 77 watts of its predecessor. The bigger question for desktops users is, why? The hard truth is that we suspect the change was not done to benefit desktop PCs. It’s to benefit laptops, all-in-ones, and anything else that really needs precise control over power and voltage in a very thin package. In other words, it’s a move that’s all about mobile and small computing. The good news is that it doesn’t seem to hurt enthusiasts very much. Yes, you’ll need beefy cooling to run Haswell overclocked, but you always needed that. When Intel jumped from Lynnfield to Sandy Bridge chips, it left behind the ability to pump up the base clock to overclock a chip. Overclockers still got unlocked “K” CPUs, but even non-K parts could overclock by four bins through the multiplier on Z-series boards. With Haswell, that feature is now gone, so non-K parts are truly clock-blocked in every way possible. The good news for enthusiasts is that Intel has added more knobs to K-chip overclocking. Borrowing from the Sandy Bridge-E chips, Haswell K chips will now offer additional CPU straps for overclocking. Rather than being limited to just 100MHz and a few megahertz above it, additional ratios of 125MHz, 160MHz, and 250MHz should be available to help overclock the CPU without overclocking PCIe and other clock-sensitive components. One of the most exciting developments in the Haswell parts list is the new Core i7-4770R. This one chip features a massive 128MB of embedded DRAM, or eDRAM, to ameliorate memory bandwidth issues in graphics. Don’t care about integrated graphics? You should, because the R part’s eDRAM also acts as a massive L4 cache, which, according to some developers, offers a pretty big boost in performance outside of graphics. The really bad news is that you can’t get it in anything other than a BGA chip today. After hearing the objections of the enthusiast tech press (see, we help you sometimes), Intel is looking at the option of offering a socketed R chip. Much has been said about Intel’s transactional memory feature, or TSX, in Haswell. TSX essentially makes it easier for programmers to write multithreaded code by addressing the complexities of having to lock portions of an array of data. TSX lets the processor handle much of the grunt work. Now for the bad news: TSX is apparently only available on some Haswell chips. Intel wouldn’t say which chips had it and which didn’t, but a leaked chart on Tom’s Hardware indicates that the only two chips we care about—the two unlocked K parts—don’t have it. So, Haswell runs a bit hotter, takes some voltage control out of your hands, eliminates the non-K overclocks, doesn’t give enthusiasts access to the large L4 cache version, doesn’t have TSX in the K parts, and, well, requires a new motherboard, too. You’re probably wondering just where the hell the good news is for enthusiasts with Haswell. Despite all our bitching, we will say that Intel has at least paid attention to the one metric that counts most: performance. Intel didn’t just take an Ivy Bridge die, erase the name, and pencil in Haswell. The company has added new instructions to Haswell, including AVX2 and FMA2, that will eventually benefit you. The company has also increased the execution ports and generally made a lot of nips and tucks in the name of performance. What this means is that, clock for clock, Haswell offers a noticeable performance boost over Ivy Bridge. The full skinny on Haswell’s performance follows, but let’s just say it again: It’s fast. The apparent lack of TSX, fat L4, and multiplier overclocking might give you a frowny face, but maybe the only people who should really have a frowny face are those who just bought into a full-boat LGA1155 system with a top-of-the-line Core i7-3770K chip. Intel’s x86 prowess has almost always been the envy of the free world. We can say that without anyone except the most ardent AMD fanboy objecting, because when it comes to x86 performance, Intel has thoroughly cleaned everyone’s clocks. From PowerPC to 68000K and from SPARC to MIPs, Intel’s x86 parts have sent everyone packing. When it comes to graphics, though, most agree it’s been the exact opposite. Old salts will remember Intel’s disastrous entrance into discrete graphics with the i740 in late 1990. Despite analyst predictions of an Intel-led graphic-card-ageddon, Intel instead withdrew with its video card between its legs two years later. Though a sucktacular non-success, Intel turned lemons into gold-plated lemonade when it embedded i740 into the 810 chipset. Believe it or not, today, Intel’s integrated graphics dominate in market penetration over AMD and Nvidia graphics chips. But Intel wants more than to merely excel at sucky graphics, and has been on a steady march to gain some respect. Every year, Intel proclaims its integrated graphics much improved, and usually people shrug it off as Lucy trolling that sap Charlie Brown. With Ivy Bridge, though, Intel’s graphics indeed got better, but overall still couldn't compete with even low-end discrete parts. This time, Lucy says, it’s different. But is it? Are Haswell graphics really, finally good enough to replace discrete graphics? We can’t say—yet. First, to be fair to Intel graphics, our ability to judge its performance is only based on the HD4600 part embedded in the Core i7-4770K chip—a CPU no one is likely to use without a discrete GPU. The HD 5000 and HD 5200 are actually the “real deal,” but we couldn’t get our mitts on them. 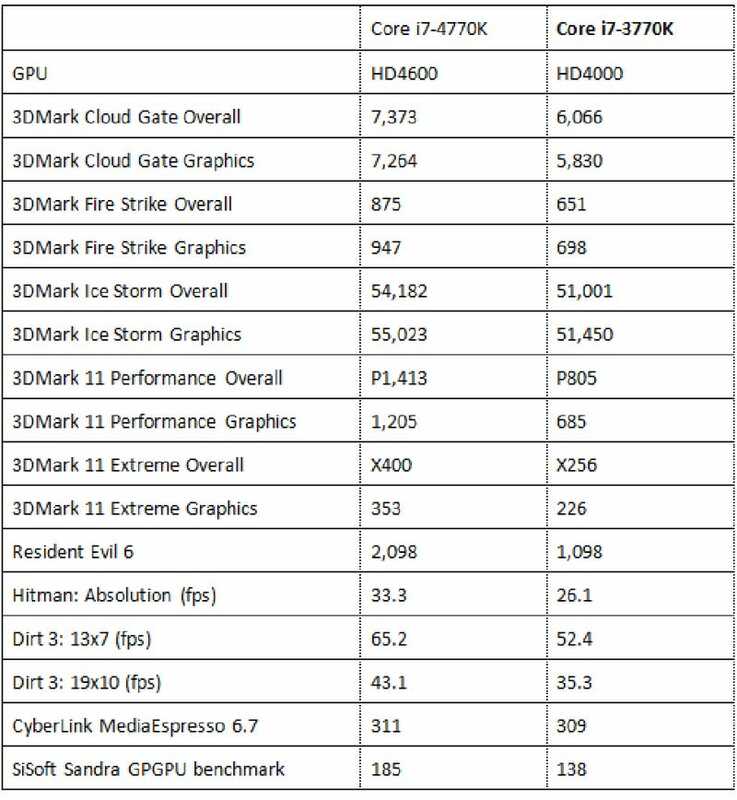 HD4600 is indeed better than Ivy Bridge, though. To compare, we used the same rigs we used for the other benchmarks in this story, but ripped out the discrete cards. We saw Haswell offering a healthy increase over Ivy Bridge. In fact, in Portal 2, which we considered unplayable with Ivy Bridge at 1080p resolutions, Haswell gave us reasonable (but not fantastic) frame rates with image quality turned down a few notches. Not bad, honestly. Resident Evil 6 at 1360x768 saw Haswell with twice the performance of Ivy Bridge. Other games also gave Haswell a good leg up over its predecessor. Enough to replace discrete graphics? Hell no. At least, not with HD4600. The Bantha in the room is really Intel’s HD5200 graphics. With its 128MB of eDRAM, we suspect that it’ll give even AMD’s best APUs a sound thrashing and might finally be the football Charlie Brown has been waiting to kick all these years. Picking which CPUs to test was fairly straightforward: We went with the top-end Core i7-4770K, a Core i7-3770K, and to give people a perspective on how LGA2011 chips compare, a Core i7-3820. Even though it’s out of the price band of the three others, we also decided to test the hexa-core Core i7-3930K to show the quad-core boys what they’re missing, or not, by foregoing the two extra cores. While differing sockets made it impossible to use identical motherboards for our tests, we at least stuck with one vendor in the hopes of achieving some uniformity. For LGA1155, we used an Asus P8Z77-V Premium, for LGA2011 an Asus Sabertooth X79, and Asus’s new Z87-Deluxe board for the LGA1150. Each motherboard was outfitted with 16GB of Corsair DDR3 clocked at 1,600MHz. All three systems were outfitted with identical 240GB Corsair Neutron GTX SSDs, which had the same firmware and were Trimmed before testing began. For graphics, matching GeForce GTX 580 cards were used, with the same driver on each. For OS, we used Windows 8. As previously mentioned, in performance, Haswell doesn’t disappoint. 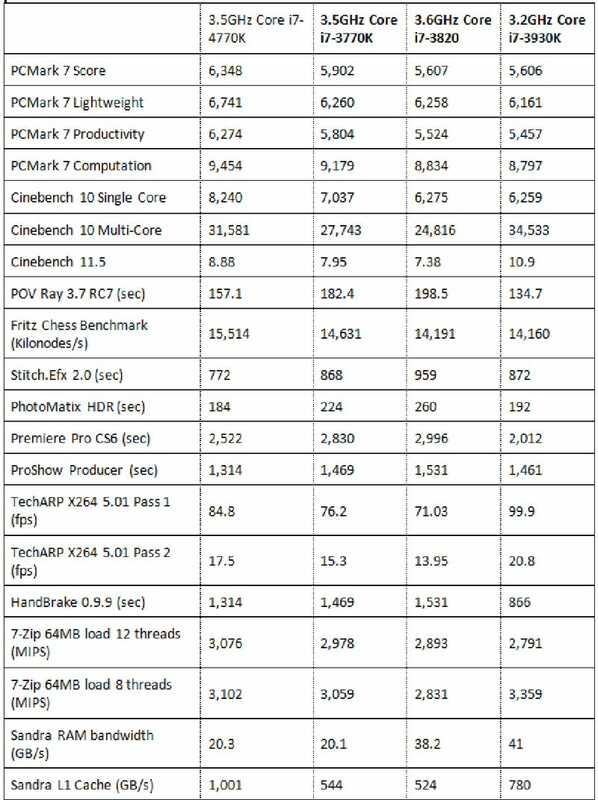 For example, we ran Cinebench 10 across just one core to gauge the per-core performance. Haswell gave us about a 17 percent bump over Ivy Bridge. Against the older Sandy Bridge-E cores in the Core i7-3820, Haswell was about 30 percent faster. In the other benchmarks, Haswell’s advantage remained constant, with the new CPU performing faster than Ivy Bridge in just about every category, and the margins widening against the Sandy Bridge-E chip. For the most part, Haswell offers an 8 to 15 percent performance boost over Ivy Bridge. In the heavily threaded Premiere Pro CS6 test, Haswell enjoyed a 12 percent advantage. The same 12 percent advantage also popped up in our ProShow Producer test, which tops out at about four threads. In a search for more real-world results, we decided to throw HDRsoft’s popular PhotoMatix at the CPU. We used a nine-shot RAW file from a Nikon D800 and ran a batch convert on it. From what we can tell, that particular load is heavily multithreaded and literally stops everything else while being run. Haswell pulled out a big win, processing the HDR about 22 percent faster than Ivy Bridge. 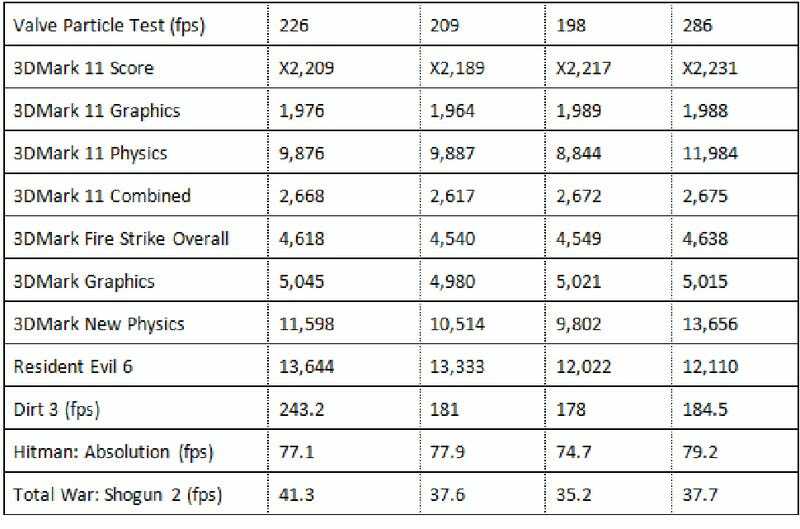 In the synthetic 3DMark gaming tests, both CPUs pulled even in the graphics test—no surprise. But in the physics test, Haswell again had a 10 percent gain over Ivy Bridge. In actual game engines, the difference between the two CPUs varied. We ran our tests at low quality and low resolutions to take the GPU out of the equation. In Dirt 3, we saw an astounding 34 percent difference between Haswell and Ivy Bridge, and in Total War: Shogun 2’s CPU test, a 10 percent gain. We could go on, but for the most part, Haswell is across-the-board faster. Part of the performance improvements come from Intel’s under-the-hood tweaks to the chip, but some of it also comes from the Turbo Boost modes. We monitored the chip’s clock speed in some tests and found that sometimes it would run at 4.1GHz for long stretches of time, while the Ivy Bridge chip hung back at 3.8GHz. Combining both the higher Turbo Boost speeds and the efficiency enhancements explains most of its wins against Ivy Bridge. 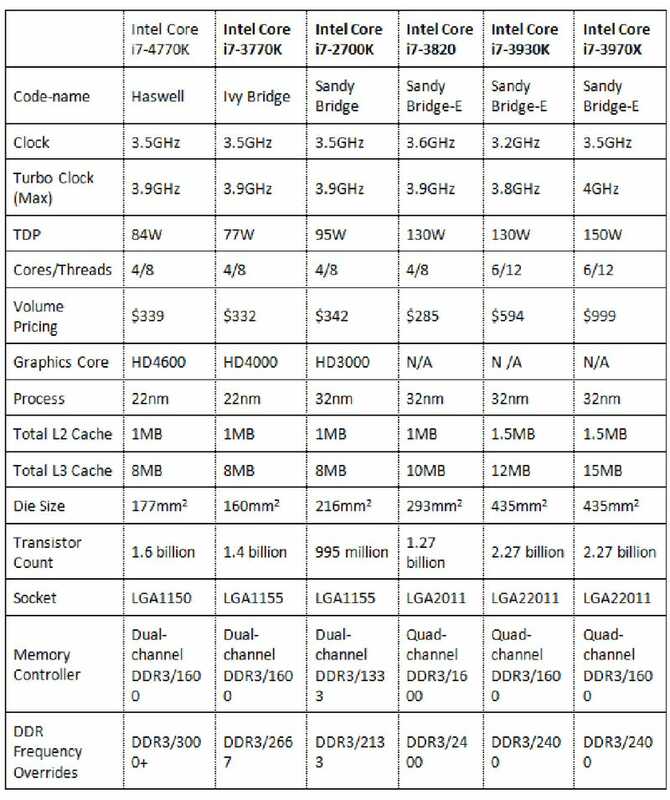 Haswell already has a leg up over Ivy Bridge, but up against the even older Sandy Bridge-E cores, it’s a bit of a slaughter. If you were to peg the advantage Haswell has over Sandy Bridge-E, we’d say it’s about 20 percent overall when its four cores versus four cores. The only advantage Sandy Bridge-E picks up is when you get to six cores. The Core i7-3930K has an advantage in heavily multithreaded tasks such as 3D rendering and video encoding. In gaming and apps that really can’t exploit all six cores of the Core i7-3930K, Haswell comes out on top. First, Haswell doesn’t invalidate Ivy Bridge systems. Machines built on Ivy Bridge are still quite fast and offer plenty of performance, but there’s simply no reason to build on an older-generation CPU with a dead socket (good luck getting another LGA1155 out of Intel) with an inferior chipset. Sorry, but that’s the truth, and we know some of you just built Ivy Bridge boxes, too, despite our warning you to wait a month or so. 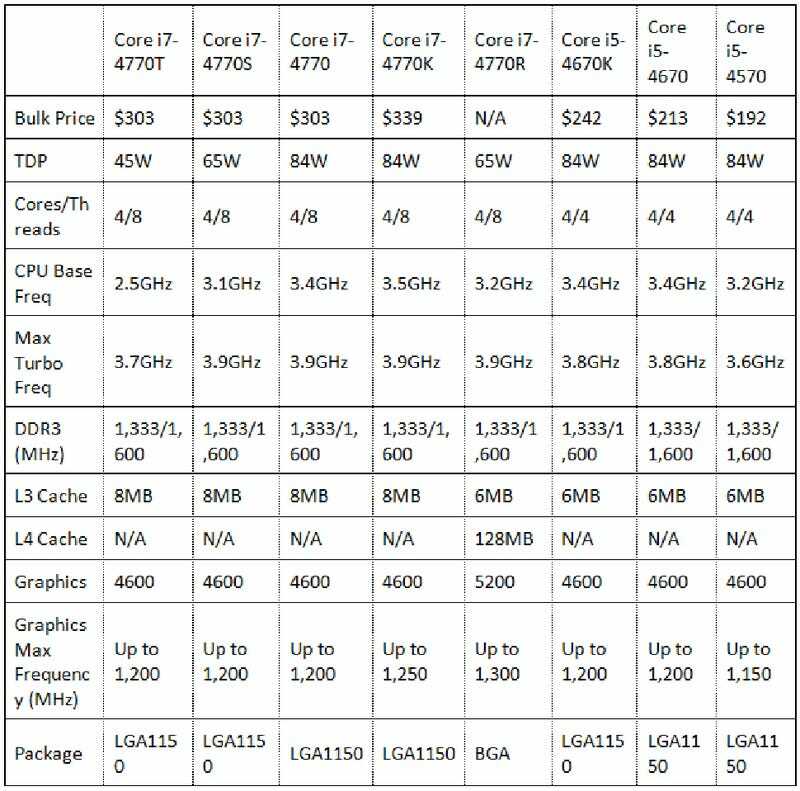 When it comes to Haswell Core i7-4770K vs. Core i7-3820, it’s a bit more tricky. Haswell flat-out leaves quad-core Sandy Bridge-E in the dust. The only reason to even build a Core i7-3820 box at this point is with an eye toward future upgrades. 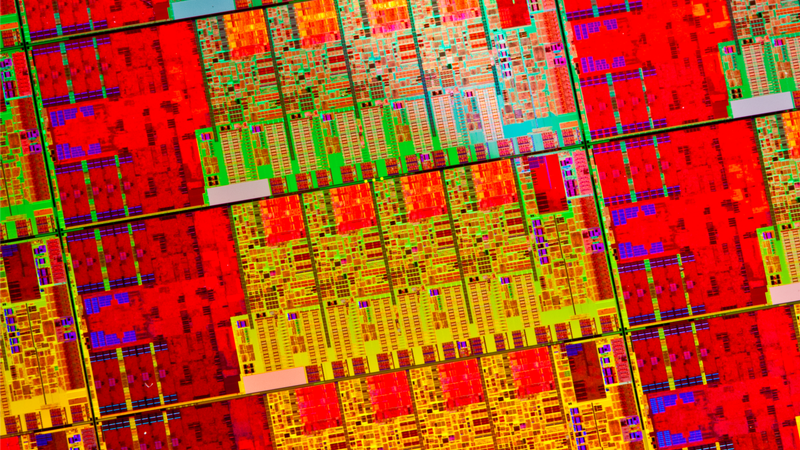 Intel is expected to push out Ivy Bridge-E or Ivy Town CPUs later this year. That’s pretty much our guidance for Core i7-3930K, too. The chip is almost twice as expensive as Core i7-4770K but if you work for a living pushing pixels in a 3D renderer, or video encoder, it’s worth it. If you can cut a four-hour video encode down to three hours with Core i7-3930K, you can work on other projects that pay, rather than wait. The only caveat is that Haswell’s higher clock and improved core can actually be as fast, even on multithreaded workloads. Peep our PhotoMatix test that saw the Core i7-4770K actually beat the six-core Core i7-3930K. Despite all our negativity, we have to say, Haswell can still make us smile. We can’t help but wonder, though, as impressive as Haswell is in performance, what it could have been like if Intel had focused on making Haswell a purely desktop-enthusiast part. We fear those days are behind us, though. For complete benchmarking be sure to check out MaximumPC's full review.